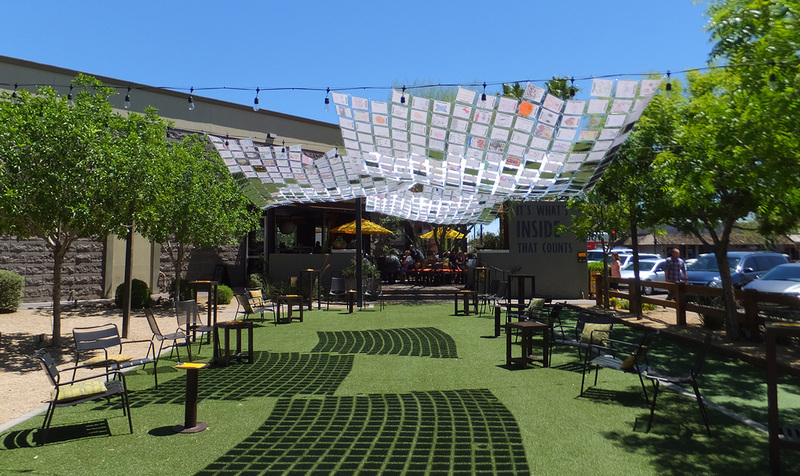 INFLUX is a public art initiative that brings together art, economic development, and property management organizations throughout the greater Phoenix area to provide opportunities for Arizona artists to create site-specific temporary public art installations in a wide variety of locations. IN FLUX offers new perspective on the connections between community organizations, city governments, local businesses, artists, and audiences. 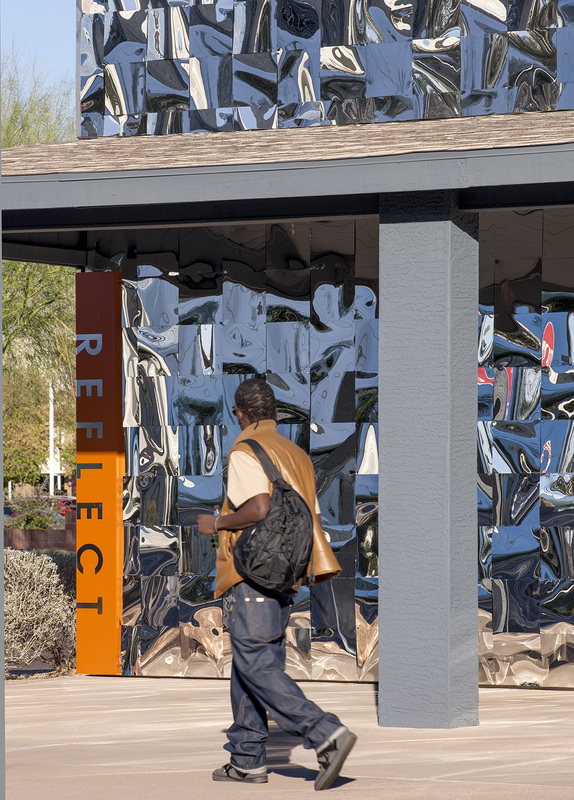 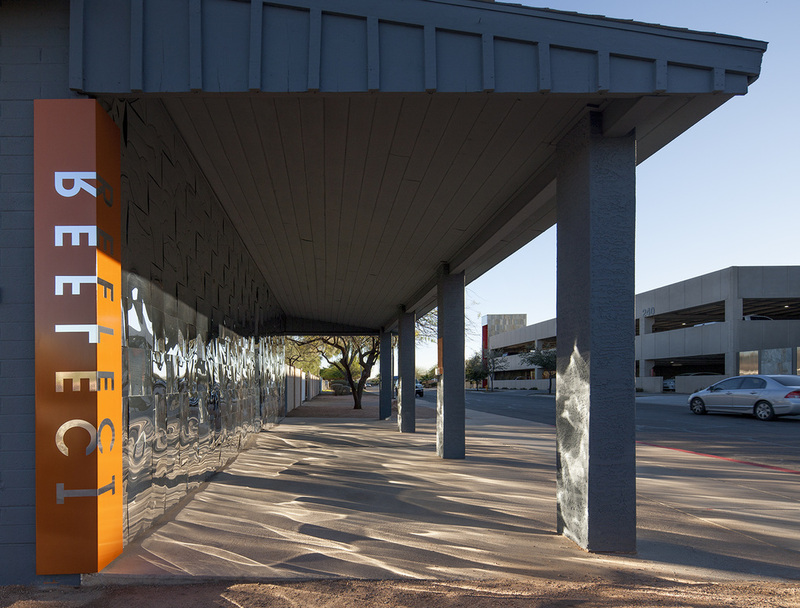 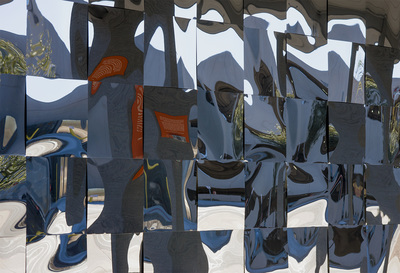 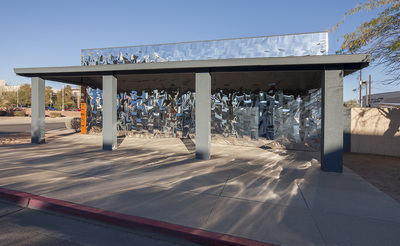 Cycle 3 - Reflect wraps a vacant building near the newly built Chandler city hall, (Chandler, Arizona), with hundreds of yards of woven reflective mylar - using the facade of this older building to serve as a reminder of Chandler's past but also serving as a reflection of the future - of a new thriving Chandler. 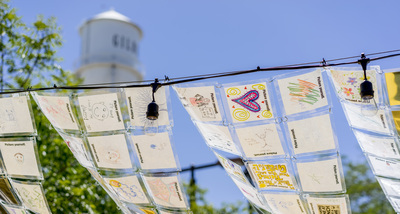 Passersby and visitors were encouraged to see themselves as part of the Chandler community, and were provided markers to add notes and comments throughout the installation. 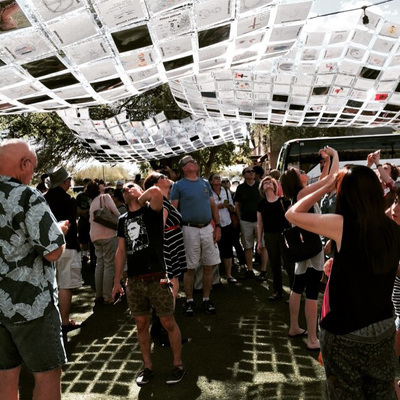 Cycle 5 - Picture Yourself is a socially engaged installation that was inspired by the phrase, "It's what's on the inside that counts", which is prominently displayed at the Postino restaurant site where this project was slated to take place. 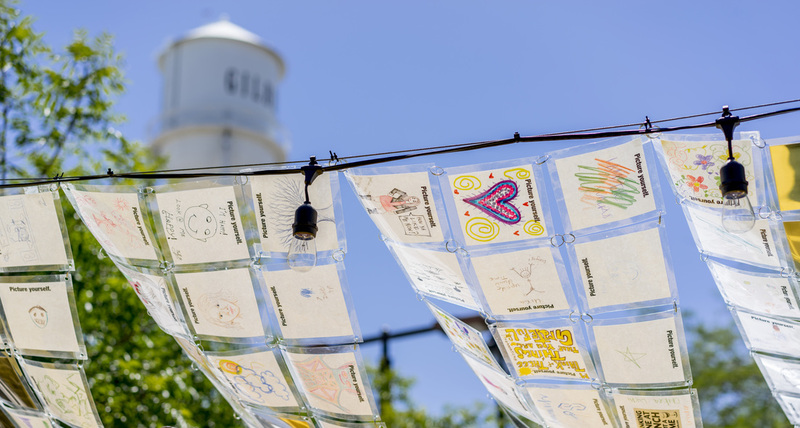 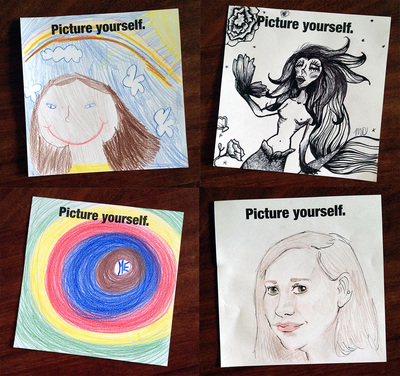 For two months, patrons of Postino Gilbert, (Gilbert, Arizona), drew images - doodles, symbols, likenesses - anything that they felt represents who they are. 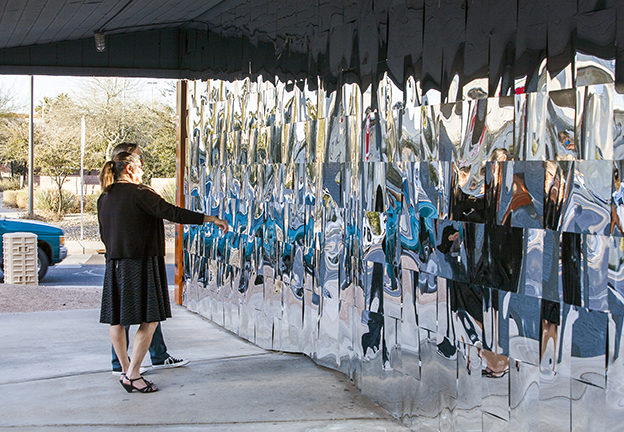 Nearly seven hundred drawings were then laminated, paired with mirrored mylar squares (so that viewers could also "picture themselves"), then linked together and installed as shade banners over the backyard dining area.